Once again, I’ve hit Pay-Dirt!!! My excitement & enthusiasm about the "recon" trip to this mysterious island is pretty overwhelming…so much so I could prattle on and on and on, but you all want to see results. I still believe in the old saying, “a picture is worth a thousand words” (until they invented t.v. sets! 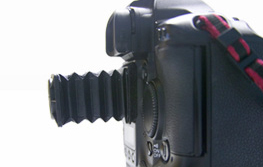 ), so I have decided to turn this newsletter, and maybe the next one, into a photo essay. 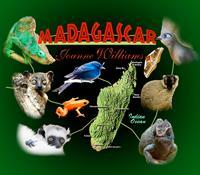 Suffice it to say, I most definitely will be offering a tour to Madagascar in September 2008. Much more to come on that topic at a later date, but do feel free to let me know if you are interested etc. 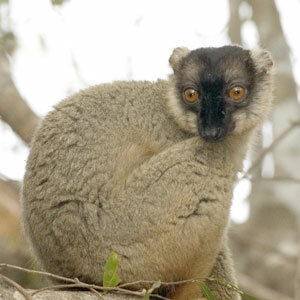 There are 80 different species of lemurs that live on this Texas-sized island in the middle of the Indian Ocean east of the African continent. 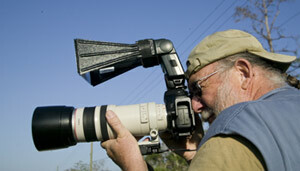 I was thrilled to even see, much less photograph, ten of the 80 known species on that island!! One of them, the Dancing Sifaka, literally cannot walk and has to dance his way around while on the ground. If I could have cranked up the music I would swear I was watching the primate version of Rudolf Nureyev and his Russian ballet troupe!! It’s graceful and hysterically funny all at the same time!! 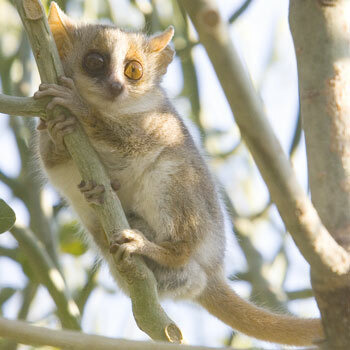 The Grey Mouse lemur is one of the smallest lemurs on earth and quite a challenge to photograph. With the help of the Malagasy natives who are excellent guides, I had little trouble full-filling most of my requests, and even added critters along the way—most of which I’d never even heard of. I sensed, or felt, a ‘common thread’ running throughout Madagascar, which I can only describe as welcoming, warm and friendly---even among the wildlife. 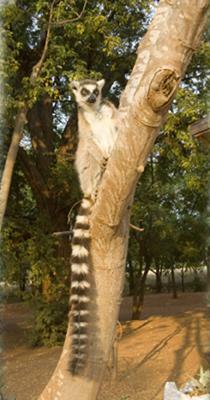 The conduct of the Ring-tail lemur is a fairly good example of this as they showed no fear of their human neighbors. They seemed to embrace our presence (and we had no food to offer! ), often coming by the cabins for a visit. Note the image of one gregarious, fuzzy, grey-haired critter chatting through the window with another fuzzy, grey-haired critter!!! They wallowed in having their picture taken striking all sorts of outlandish poses, & offered plenty of photo advice. Like their human counterparts, lemurs love to sunbathe. 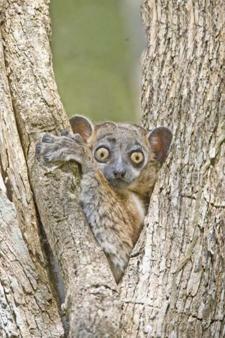 The moment a ray of sunshine would break through the clouds, the lemur world would come to a dead stop. They would all turn and face the glowing orange/red ball, arms askew simulating a sunny Saturday at Coney Island!! All these images were photographed out in the wild in each animals’ natural habitat, making it even more thrilling to have them interact so freely with us. Of course having a 5 to 6lb. Common Brown lemur land full force on my shoulder totally without warning while we were wandering around the rain forest sent my heart racing, but in no time we were friends. A quick reminder that my library of 35mm original slides houses approximately 75,000 images, and my digital library presently holds over 80,000 (and growing-hourly)!